By the assention of thy lawn, see all. Tintoretto. 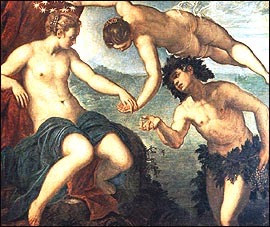 Ariadne, Venus and Bacchus. 1576.